In my previous blog post, I showed how mobile money is not only meeting the needs and demands across demographically diverse populations in my study – wealthy and poor, young and old, male and female, rural and urban participants. It is also reinforcing new forms of interaction between them. I showed how mobile money has considerably affected – and become a fundamental part of – everyday life. People who are registered with mobile money accounts are able to “connect to all,” enhancing and maintaining their pre-existing kin ties and friendships, as well as ways of communing, collaborating, and networking. In this part of the post, I seek to present exemplary cases of the broader impact of mobile money and its importance for notions of rurality in parts of Southern Uganda. 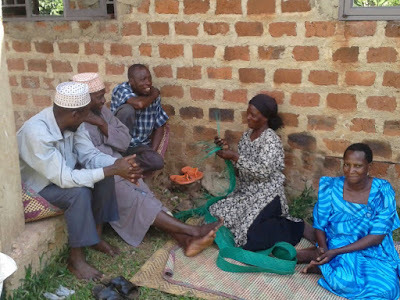 One reality that constitutes a great part of reality of the rural in parts of Southern Uganda is the belief system of “obuntubulamu.” Obuntubuamu presumes that an individual does not and cannot exist alone but owes existence to the village and/or community. It is a system that simply recognizes the usefulness of community-centeredness. What makes the mobile money application ideal in this case is that it is not perceived as a threat to such ingrained and indigenous ideals, notions, and realities of the community. Instead, mobile money is the kind of application that is taken up by one so s/he is able to live on with their lives just as they did before it existed. Phones have intensified the kinship system in the rural. Such symbolic fields as kinship and rituals represent dominant practices and enduring meaning structures that cannot be ignored by the rural residents nor overlooked when interpreting village life. Especially important is the idea of gifting up and down generations in rural Uganda. Younger people give to parents, grandparents and other close kin in their parents' generation. This way, mobile money is able to enhance inherent informal risk sharing networks. Most users in Southern Uganda use it to support friends, family and relatives. It is a method for social gifting, and sometimes contributing to ceremonies and social rituals and functions. Sending money is closely connected to practices of chatting or texting. Mobile money transfers between the urban and rural dwellers almost always follow a chat, a text message, a beep (or intentional "missed-call"), or a call between the two. Mobile money in Uganda has acquired an etiquette that is often followed when using the mobile phone. Participants often indicated that they commonly used their gadgets to maintain relationships through sending money, airtime, and similar gifts. Women have increasingly formed self-help groups supported and sustained by mobile phone applications such as mobile money. One group that had benefited greatly from using mobile money among its services was the "Responsible Motherhood Savings Group." Members explained to me that they didn't have to worry about carrying money, carrying cash in bulk or standing in long bank cues to buy checks. Besides the tangible benefits, mobile money services have enhanced a community spirit as well as collective action among these women, reinforcing the feeling of community among members of the village. When one of the members faced a challenge, everyone in the group gave their individual contributions, sometimes through mobile money. Members argued that through mobile applications such as mobile money, they felt closer to each other than before—they were transparent amongst themselves and more connected. Through mobile money services people were able to care for each other and engage in each other’s lives. Unlike in the urban where it is sometimes about class, convenience, networking, and just merely the position of the consumer, rural residents were motivated to adopt mobile money only then when they were sure that the emergent ways were better than the ones they had. Whatever mobile applications were used in a community and locality, it was because of its ability to solve something for the individual, for a group, for a community, or the entire village. From my observations, applications were appreciated for nothing else than their ability to solve a genuine problem that they faced. Particularly interesting is the experience of one health-worker who said she had not returned to her home village since her father died in 1998. She said she no longer had any reason to come back just to pay homage to an almost "empty" village. However, when she finally traveled to the village over fifteen years later, she realized how much the rural had changed and explained how she has been making plans to settle and set up a mobile clinic there to make good use of mobile money applications (and be able to save) in the village. In another interesting narrative, one herdsman excitedly told me how with his smart phone he will take a picture of a sick cow and explain to his boss the details about what and where the problem is. He will then receive money for its treatment through mobile money, or be advised to sell it in the market. 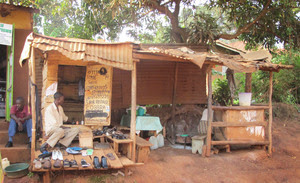 He immediately sends profits over to his boss through mobile money. As the LC 1 Chairperson for the village confidently added, "today, the village is not just for the poor, the old or the sick; it is clear from the mobile phones that communication and the frequent use of mobile money are getting people out of the circle of total poverty." From these and similar responses it was possible to read the enlightenment on the faces of the participants as they pointed out how educated and financially-abled people they had become. However, with the urbanization of African villages, the rural is losing much of its idealistic image. This is so much so that the rural is emerging as a model of "modernity. "It is no longer that space of completely intact evergreen forests and arable lands. Due to globalization and rural-urban/urban-rural travels, there are many urban-like changes happening through use and uptake of mobile money services. Even for businesses in the private sector – like the MNOs, banks and financial institutions – the rural is increasingly becoming a more dynamic and competitive environment. Infrastructural changes and the presence of mobile services are increasingly influencing lifestyles and in turn necessitating new models of survival. More connectivity has meant more access to infrastructural facilities, and ultimately, transformations in the conventional image of rural life and rurality. In many ways the rural is emerging as a global, dynamic, multi-faceted territory such that rural life is being re/shaped, re/drawn, re/constructed, and generally transformed. Many rural residents were concerned about protecting, or at least paying more attention to the rural and its aspects and ideals, arguing that otherwise it would lose its identity. Rural areas should have a specific internal dynamic of changing and adapting. My study shows that mobile money is in fact proving to be integral to re-imagining rurality. However, further research is needed to show if rural elements are in fact being preserved, changed, or recreated in urban form. It is important to examine if mobile money will eventually change how we feel about rural space and if so, what its applications, services and innovations mean for rural authenticity. In some parts of rural Uganda, a whole village will use one or two phones to bank, to contact relatives, to share money amongst themselves, to access loans, and simply to check weather reports. Low teledensity does not imply lack of mobile money use and spread. Freed from the expense of ownership and maintenance, an individual of a particular group or community will spend longer periods of time per use on the available gadget(s), hence generating more revenue not just for the individual or group involved, but for the whole village. Such collective use by a community makes the dream for financial inclusion plausible—even a reality—for rural life. In this 2-part blog post series I present vignettes organized around three themes—life, identity, and community—through which mobile money and rurality is re-imagined. Mobile money inclusion is providing new tools to maintain existing practices and values, reshaping but also reinvigorating rural-urban ties, and along with these, new understandings of the rural. My study provides a snapshot of the impact of the mobile financial services in rural Uganda in relation to debates on financial inclusion and empowerment. Mobile money is increasingly turning out to be a most viable tool of financial inclusion to those who have neither bank accounts nor deposit lockers nor credit cards, but do have a basic mobile phone. The Ugandan Central Bank recently cleared the path to mobile finance, a shift that forced the nation’s banks to look seriously at the low-income consumer banking market for the first time. Provoked by discussions of rurality vs. urbanity and the exclusion of remote and rural towns and villages before mobile money, I wanted to understand the extent of changes today in light of the rise of initiatives such as MTN Mobile Money (MTN), Msente (UTL), Airtel Money (Airtel), and Orange Money (Orange), which have led to the growth of an increasingly complex mobile money ecosystem that allows funds to be transferred between rural and urban subscribers. Mobile money has changed the ways of life for groups most at risk of poverty and social exclusion that often lack access to traditional bank accounts. Populations previously excluded because they do not own property or a business are beginning to get included through a myriad of mobile money innovations and applications. With the emergence and dispersion of mobile money services in southern Uganda, 'the rural' has attained a certain kind of dynamism and fluidity, and a whole new identity through varied features of lifestyle, community, traditions and landscapes. I explore this problematic within a so-called “traditional” rural setting—still remote, excluded and poverty stricken—that is at the same time representative of emergent and transformative innovations through mobile money. I understand the rural as part of an integrated space within mobile spatial systems that delete, rub away or dis-able the aspect of distance between issuer and receiver, urban and rural, and modern and traditional. I explore how the rural territory is re-interpreted through processes, lifestyles and behaviors influenced by the new contemporary technologies of mobile financial transformations. The setting for this study is the village communities of Masaka and Rakai comprised of households that are spread over hilly lands. Families of up to five adults and sometimes ten children live in a single homestead, which are often clusters of mud-brick and iron-roofed two or three bedroom dwellings with a sitting and dinning room, and occasionally a kitchen. Birdcages, kraals and/or gardens are reserved for subsistence crops – especially banana cultivation. Most people have extensive kin across the corners of the village or in the neighborhoods. Given that many can trace their ancestry over five generations, the idea of family, kinship and network in such communities is profound. These are rural communities in every sense. But there are also glimmers of transformation with regard to life, community, sociality and identity. Interviews and focus group discussions were my primary method in the two communities, along with observations of daily activities. I identified community leaders, such as local councilors, religious leaders and traditional leaders, as potential participants and used purposive sampling to ensure a full range and extent of the phenomena necessary to answering my research questions. This method of analysis allowed me to better understand the 'lived' realities of mobile innovation in the rural context in ways that challenge the discursive marginalization of communities most at risk of rural poverty and social exclusion. The money transfer application has proved to be the most important “killer application” of mobile money, fundamentally transforming rurality in Southern Uganda. It supports the indigenous and traditional settings, realities and world-views of the Baganda who constitute about six million people, or 16.7 percent of the entire population of the country. Before mobile (money) innovations and services, quality of life and access to social services were poor in the southern districts of Uganda. Literate rural residents exchanged information on crucial news such as serious illnesses through letters. But for the illiterate this was problematic. Letters were less informative and were often disseminated informally through trusted friends and it would often take days, weeks or even months to receive a reply. Today, calling and the use of texts or "SMS" have replaced most of the letter writing. Mobile money, which operates through text and "SMS," meets basic functionality needs and operates on the most basic handset. It takes old technology and uses it in new and innovative ways that enhance and substitute older practices of sociality, social life and lifestyles. Mobile money has tremendously influenced peoples’ savings behavior where previously keeping money under mattresses or in fabric, often tied in knots, was common. 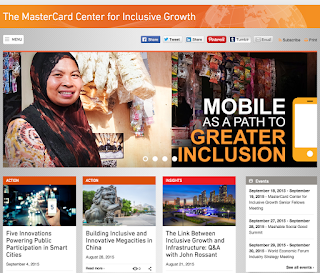 Now mobile phones are clearly substituting for traditional unreliable savings channels and remittance services. Where previously people only used trustees and formal institutions including banks and other financial institutions, mobile money has now made it possible to send money from urban centers to Ugandan villages through remittances at even lower transaction costs. Without having to travel long distances and cue in traditional banks, or travel across borders, rural dwellers are now able to receive money in the comfort of their homes. Mobile money is also substituting traditional ways of making monetary payments. Payment through agents or “middleman” have especially been substituted by mobile means of cashing in (depositing funds), cashing out (withdrawing of funds), transferring funds through person-to-person (money transfer) or purchasing of airtime, even to make payments to workers. When asked why they used mobile money, some rural residents in my study suggested that it was the appropriate alternative and substitute to unfavorable fixed and traditional ways of spending money such as cash. They said that using traditional bank accounts, credit cards and financial facilities were very complex to understand, operate, and maintain in remote villages and was often the preserve only of those wealthy enough to afford a handset. They pointed out that mobile money improved access and efficiency and simplified their lives when they needed to access goods and services. The sector that has benefited the most is probably education, where schools have substituted traditional means of paying tuition and other school fees – such as delivering funds in person or proxy, and use of agents such as banking institutions – with mobile alternatives. Many community schools in the region have now adopted mobile money as an acceptable means and mode of payment. They were registered with MTN and Airtel Uganda Limited where parents were allowed to transfer school fees and other school related costs for the kids. Some explained that they used electronic transaction forms for additional home goods and food items such as sugar and salt. Others used mobile money for paying utility bills for water and electricity, and salaries to their house girls or housemaids and other support staff in their homes, instead of going to the bank to withdraw cash. Mobile money remittances exert multiplier effects on the community. For instance, they have in some cases motivated young local men and non-receiving households to start seasonal entrepreneurial activities. Before, youths used to have no choice but to leave their villages for towns and cities like Masaka, Mbarara and Kampala, so much so that there were not enough youths to work in farms and gardens. But with the fast paced changes through mobile money many are now realizing that the rural is indeed a fine place to live and work. One young man who was part of a group of young men molding mud bricks and then baking them in huge ovens to make them strong and resistant to erosion by water or rain explained how they would sell the bricks to the remittance-receiving households to build houses on their homesteads. In fact, where non-existent infrastructure has typically stood in for the “rural” as static or cut-off from the world, it is exactly this reality that shows dynamism because it has inspired the tremendous uptake and transformation of mobile money. The absence of clear roads, accessible banks, hospitals and transport facilities in rural areas explain why a mobile phone will be popular for saving, transferring and making real-time payments. Access to health attention and remittance payments through mobile technology is a dream come true for rural residents. There was also the case of multi-nationals and NGOs coming to the village that had substituted in-person payments in cash with mobile money payments and other mobile applications to reach out to the communities and distribute emergency aid to families. As such, the new infrastructural concepts engineered by MNOs are not only broadening the range of transactions that target the rural poor, they are also providing dynamic substitutes making rural spaces and territories even more fluid. Such accessibility and availability means that almost everyone in every corner of the country, community and village has a story to tell about mobile money. While some study participants worried about the changes brought by mobile money it was also clear that it was not introducing entirely new ways of life but substituting what already exists. Mobile money seems to enhance rural lifestyles of community through which people who are registered are able "connect to all" including their kin, friends and community. It provides opportunities to establish and maintain community, collaboration, and access, which I will describe in part 2 of this blog post. To read part 2 of Reimagining Rurality in Mobile Money Times: Life, Identity, and Community in Southern Uganda, see here. In Cameroon, where the state has often been distant, indifferent and irrelevant, or present mainly in its extractive capacity, people have cultivated ingenious forms of self-reliance and social networking. Throughout the country, individuals and communities have a long history of investing in networks, solidarity and avenues of accumulation that bypass the state and its encumbrances. The Rotating Savings and Credit Association (ROSCA) known among Anglophone Cameroonians as njangi and among Francophones as tontine, is an institution based on solidarity or social networking facilitated by individuals or collectivities pooling together financial and other resources to fulfill their needs and dreams – in both normal and difficult times. These groups of individuals have an intimate knowledge of and trust in one another, and relations of reciprocity and interdependency determine the survival and success of these groups. We use njangi as an analytical framework in our project to understand the relationships and practices of obligation and reciprocity that shape the uses and meanings of mobile/electronic money in Cameroon. Our year-long ethnographic research project investigated the daily practices, transformative value and social implications of mobile money and electronic transfer services amongst poor rural farmers and gardeners in the Cameroon Grassfields. Data collection was done through recorded qualitative interviews; focus group discussions; multi-sited ethnography; photo documentation; and participant observation. Researchers actively participated in everyday activities, rituals, interactions and events as a key method of learning the explicit and tacit aspects of life routines and cultures of mobile money usage. The study mainly targeted male and female farmers (above 25 years of age), associational groups, and mobile money providers. Through this sampling method we were able to target farmers, gardeners, buyers, transporters and other actors involved in mobile money transactions. What perceived and lived transformative value do mobile money transfer services have on the livelihoods of poor rural farmers? What are the daily practices, uses and meanings of mobile money services amongst poor rural farmers in the Cameroon Grassfields? How does mobile money impact the social and economic networks/networking of poor rural farmers? Njangi groups in Cameroon come together for the purpose of saving some resource – usually money – on a consistent basis. The regularity of the payments or contributions is agreed upon from the outset. Participating members refer to their regular contributions in cash or kind as their njangi and to the act of contributing as playing njangi – emphasizing thus the game-like dimension of this activity. As with every game, each njangi is governed by rules by which participants are expected to abide. The associated meetings usually rotate and the money contributions made at each meeting are made available to one of the members, usually the person hosting the meeting for the day. Many of those we studied depended on remittances (often transmitted electronically) from relatives in cities and abroad, to fulfill their financial obligations in njangis. Our findings show that electronic money technologies are making njangi transactions more secure than before. Amongst the farmers we studied, this njangi ethic goes beyond monetary value and includes forms of social labor. Farmers entering a njangi together also assist each other in plowing and sowing crops on the farm of their members. The beneficiary in turn provides food and drinks to the members. Whether the rewards are monetary or in kind, no one enters into njangi with just anyone, as it involves an investment of hard earned money or resources. Intimacy, either in the form of primordial bonds, or solidarities through association and subscription to common values and a shared cosmopolitan belonging, is therefore an important precondition for njangis. While intimacy and familiarity do not guarantee against betrayal and opportunism, they do offer greater protection and minimize risk. Njangi groups are in some ways comparable to, compete with, and complement banks. Like banks, they save and lend people’s money, often at more reasonable interest rates. However, unlike banks, njangi groups generally provide more flexibility because they are also carriers of social relations. They cement relationships between people who already know each other through other contexts (such as a workplace, church, college, business etc.) and are expected to create, reproduce and ensure continuity for social networks that bind their members in other spheres of life. At key social events, such as marriages, births, baptisms and funerals, members are expected to demonstrate solidarity and inclusion through financial contributions and gifts, as well as personally participating in celebrating members’ achievements or providing comfort during times of hardship and disappointment. Njangi is thus a network of relations and sociality, underpinned by obligations of reciprocity that tie two or more parties together. Our findings show that mobile money and new digital technologies are able to provide more efficient and secure circulation of money, precisely because there is an already pre-existing culture of solidarity and reciprocity. Mobile phones and new financial technologies and products are redefining the ways in which these socialities are realized without distorting their core values and principles. A climate of trust also allows for easier, affordable and faster access to capital and cost reduction for trade activities and other related expenses. Our research shows that mobile money and financial services offer four major advantages over traditional financial models. The cost of digital transactions is very affordable. In-person services and cash transactions account for the majority of routine banking expenses. Mobile-finance allows clients to keep their money in digital form so they can send and receive money often, even with distant counterparts, without creating significant transaction costs for their banks or mobile service providers. New money technologies enable wider and broader participation (for e.g. networking farmers across geographical locations) by compressing both time and space, and increasing the aspirations of people previously geographically immobilized in remote areas. 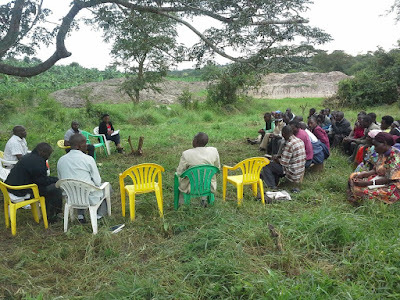 These farmers are now able to participate in a ‘global community’ even when acting locally. Mobile platforms link banks to clients in real time as observed in the partnership between MTN and Afriland Bank in Bamenda and across the country. This means that banks can instantly relay account information or send reminders and clients can quickly sign up for services on their own. Mobile communications generate copious amounts of data, which banks and other providers can use to develop more profitable services and even to substitute for traditional credit scores, which can be hard to obtain for those without formal records or financial histories. In conclusion, for poor households, while the benefits of credit (credit unions) and savings (njangi) are undeniable, the simple ability to transfer money is also equally important. Mobile money therefore, plays a critical role in complementing and building on the services of njangi groups that provide many people financial security and are also rooted in values and practices of interdependency and conviviality. Read more in Nyamnjoh and Fuh's Final Report. Read a Life history narrative of njangi sociality in the Cameroon Grassfields based on fieldwork conducted by the authors.